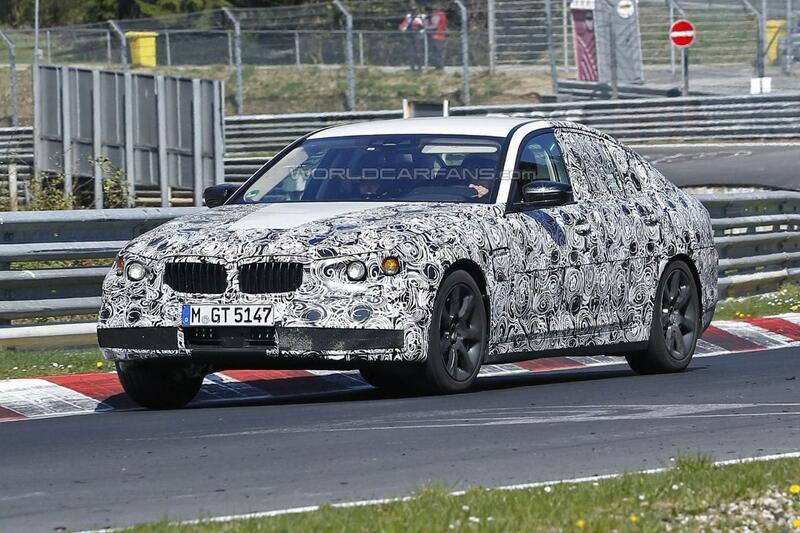 The 2017 BMW 5-Series sedan has recently been seen. The car was spotted while testing on the Nürburgring. A video has been taken to prove that work on the super car is on track and that things will be as promised spectacular. As far as design goes the 2017 BMW 5-Series impresses via an evolutionary design. Don’t expect any major changes as the car keeps the BMW flavour. And as far as technical details go it is important to mention that the 2017 BMW 5-Series sedan model will ride on the same as the new 7-Series. As you may know by now the latter model weighs about130 kg (286 lbs) less than its predecessor. Thus we can already draw a simple conclusion that the 5-Series will bring forth a major change as far as weight is concerned. More to the point, the car is expected to go on a serious diet. Engine options will count a 3.0-liter TwinPower Turbo six-cylinder diesel with 265 PS (195 kW) and 620 Nm (457 lb-ft) of torque, a 3.0-liter TwinPower Turbo six-cylinder providing 326 PS (240 kW) and 450 Nm (332 lb-ft) of torque, a 4.4-liter TwinPower Turbo V8 that gives 450 PS (330 kW) and 650 Nm (479 lb-ft) of torque. Also list of possibilities includes an entry-level model with a 1.5-liter three-cylinder diesel and a plug-in hybrid variant with a 2.0-liter TwinPower Turbo four-cylinder petrol engine, an electric motor and a lithium-ion battery. This entry was posted in BMW, Spy Photos and tagged 2017 BMW 5-Series Spotted, 5-Series, BMW, video. Bookmark the permalink.